‘Ocean’s 8’: 12 New High-Resolution Images Reveal the Excellent Ensemble!!! Check It Out!! | Welcome to Moviz Ark! 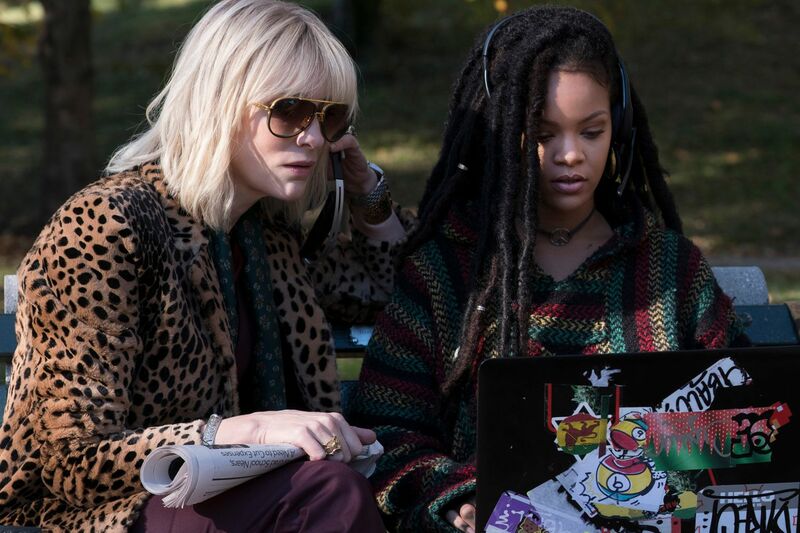 ‘Ocean’s 8’: 12 New High-Resolution Images Reveal the Excellent Ensemble!!! Check It Out!! Warner Bros. has released a slew of new high-resolution images from Ocean’s 8, the upcoming heist film from director Gary Ross (The Hunger Games). 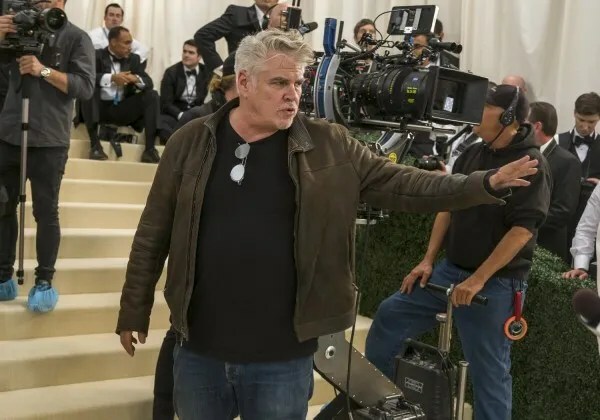 The movie is a spinoff of sorts from Steven Soderbergh’s own Ocean’s trilogy, and Soderbergh and Ross hatched the idea for this new movie together, which focuses on the sister of George Clooney’s Danny Ocean, played by Sandra Bullock. 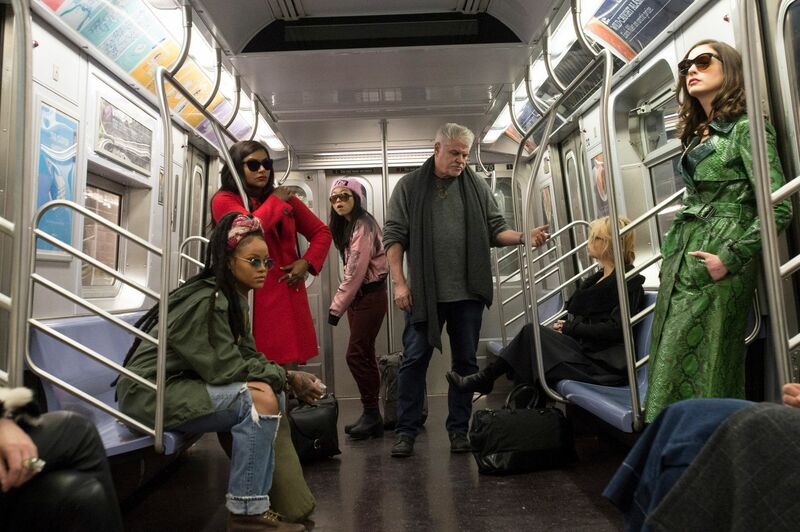 Fresh out of prison, she assembles a squad of her own to pull off a daring heist during the Met gala. 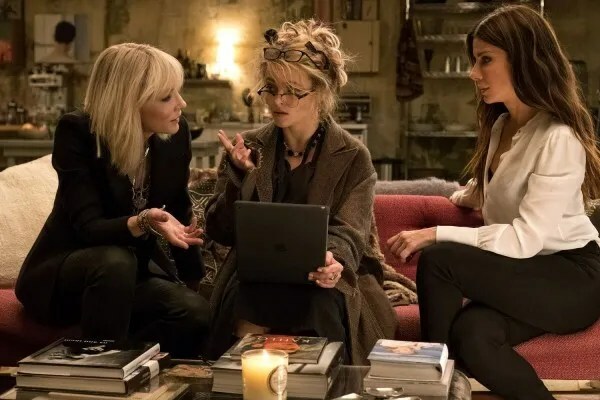 These new images show off the terrific cast that was assembled for this film, which no doubt intends to kick off a franchise. Cate Blanchett, Helena Bonham Carter, Mindy Kaling, Rihanna, Sarah Paulson, Awkwafina, James Corden, and Richard Armitage fill out the ensemble, with Anne Hathaway playing the mark (aka the Andy Garcia role). 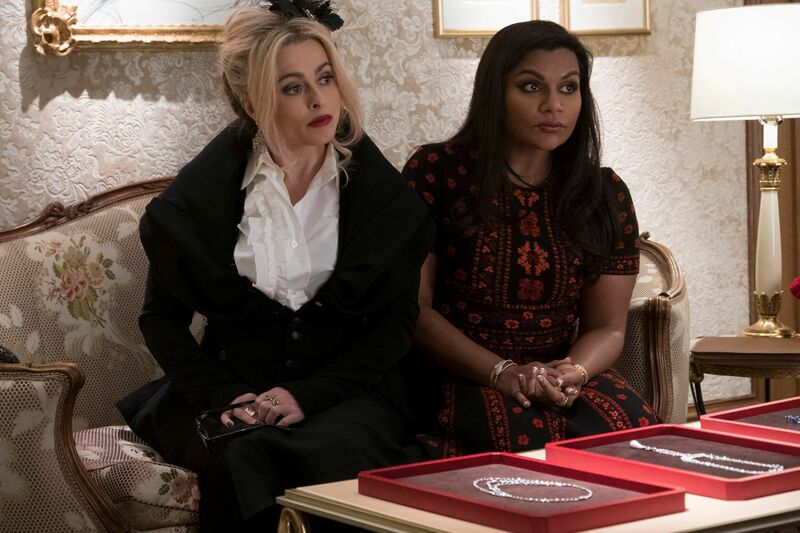 Ross co-wrote the script with Olivia Milch, and I’m mighty curious to see what kind of tone Ocean’s 8 strikes. 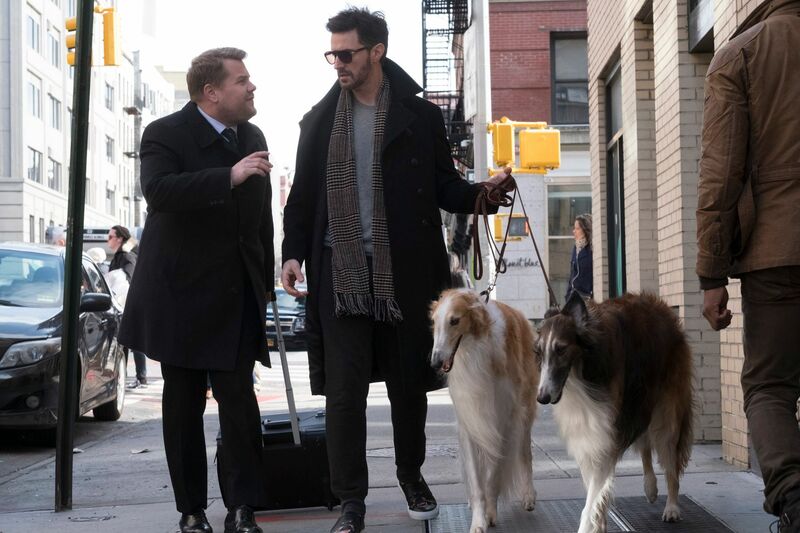 For now, the optics are quite swell. Peruse the images below and click for high resolution. 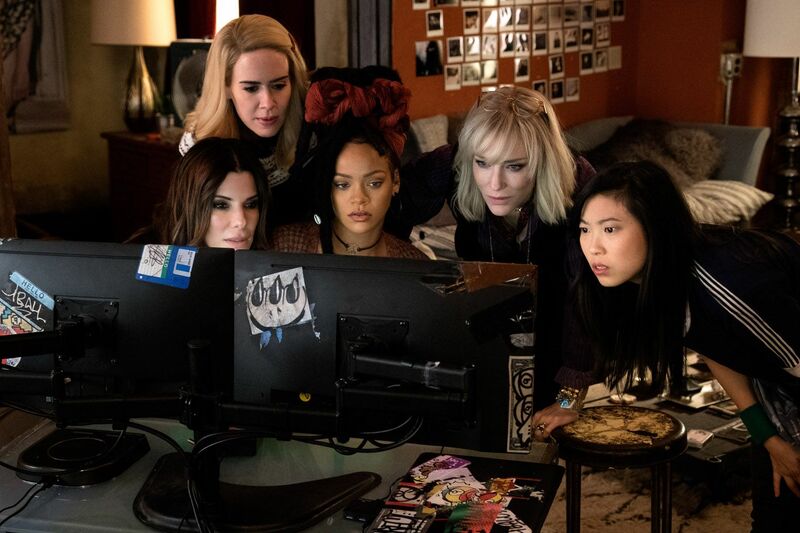 Ocean’s 8 opens in theaters on June 8th. Here’s the official synopsis for Ocean’s 8: Five years, eight months, 12 days…and counting. 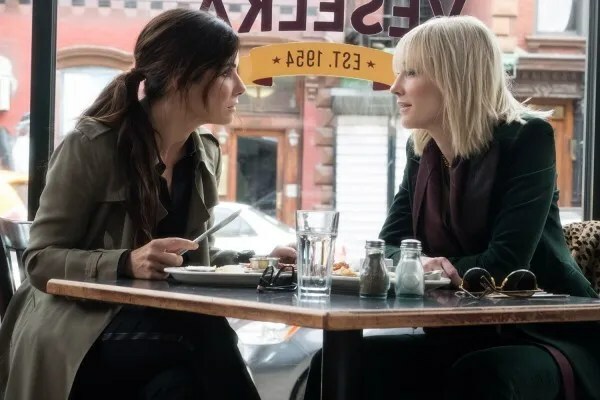 That’s how long Debbie Ocean (Sandra Bullock)—just released from prison—has been concocting the greatest heist of her storied career. She knows what it’s going to take—a team of the best in their field, starting with her former partner-in-crime Lou (Cate Blanchett). Together, they recruit a crew of specialists: jeweler Amita (Kaling); street con Constance (Awkwafina); expert fence Tammy (Paulson); hacker Nine Ball (Rihanna); and fashion designer Rose Weil (Bonham Carter). The target is $150 million in diamonds—diamonds that will adorn the neck of world-famous actress Daphne Kluger (Hathaway), who will be center stage at the event of the year, the Met Gala. 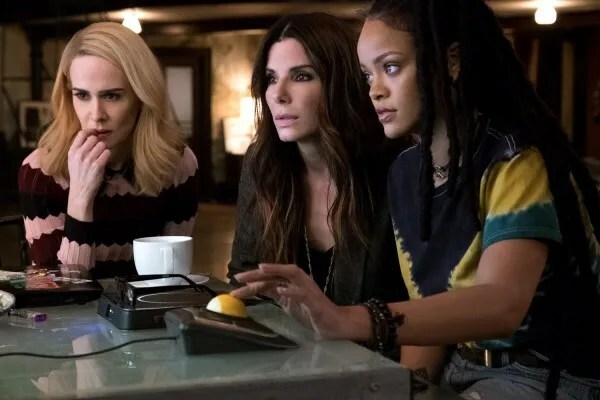 Their plan appears rock solid, but it will need to be flawless if the team is to get in and get away—all in plain sight. ← ‘Sicario: Day of the Soldado’: New Trailer Teases a Violent and Slick Sequel!!! Check It Out! !